Preheat your griddle and set aside sliced challah bread. In an 8×8 casserole dish whisk together eggs, whole milk, and vanilla bean paste. Quickly dip both sides of the challah bread into the egg/milk mixture and cook until golden brown on both sides, about 7 minutes per slice of bread. Add the cooked french toast to a large baking sheet. Laying each slice side by side. 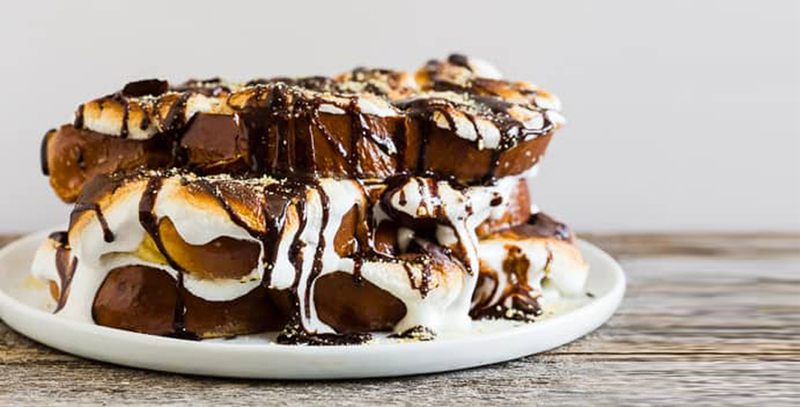 Slightly flatten the marshmallows and place the desired amount of marshmallows on top of each slice of French toast. 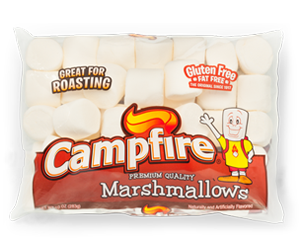 Turn on your broiler and add the sheet pan to the oven and toast until the marshmallows are gooey and browned about 5 minutes. Remove from the oven, stack 2 slices per plate and drizzled with desired amount of chocolate sauce and graham cracker crumbs.